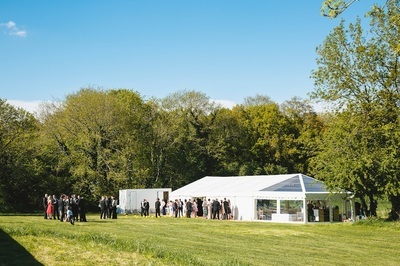 Based just a mile from the Somerset border south of Wincanton, Oakleaf Marquees have hired marquees throughout somerset, to many successful events right across the county from Yeovil in the south to Weston-Super-Mare in the north and Minehead in the west to Bath in the east. Oakleafs marquee hire Somerset supplies weddings, parties, hunt balls, school speech days, corporate launches, restaurant extensions, festivals, shows, food fairs and (of course being Somerset) cider and cheese festivals! You name it - we've done it. There are many idyllic Somerset marquee hire locations we've installed marquees at including Dillington House, Forde Abbey, Knowle Manor, The Mount Somerset Hotel, Stoberry House and Ston Easton Park to name just a few. The Somerset scenery is the perfect backdrop to one of our striking traditional pole marquees but if you're looking for something more contemporary, how about a clearspan marquee complete with clear roof sections positioned under a tree with LED uplights illuminating the boughs for a wonderful night-time effect? 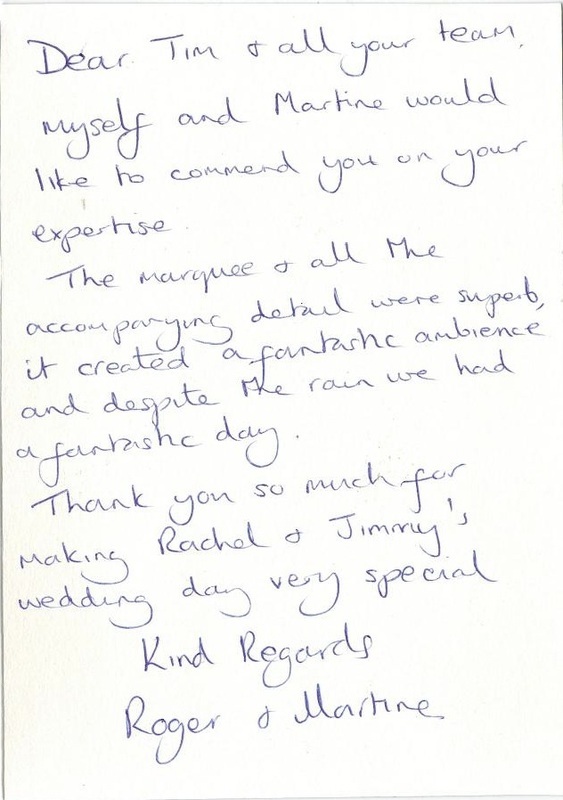 Regardless of your preference or theme our marquee hire Somerset service has it covered. Somerset has 11,500 listed buildings, 523 ancient monuments, 192 conservation areas, 41 parks and gardens, 36 English Heritage sites and 19 National Trust sites. 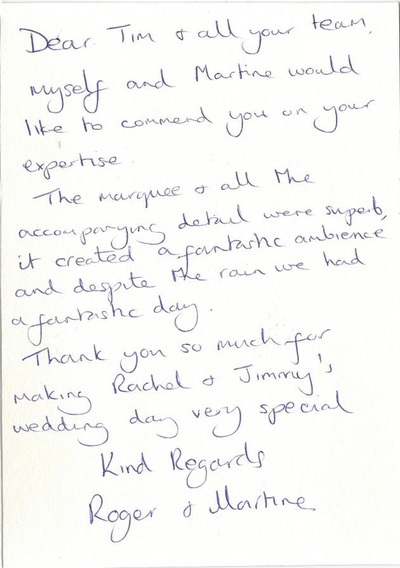 Plenty of scope to choose the ideal setting for your marquee. Browse some of the caterers, bands, DJs, venues, photographers, chair cover suppliers, cake makers and more that we've worked with in Somerset in our Partners section. 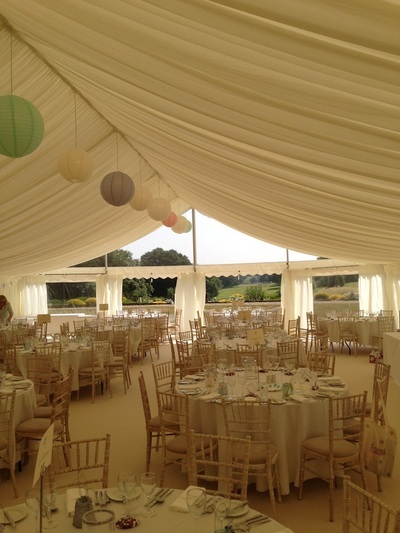 If you don't have a venue in mind but would really like a marquee for your wedding or event, please get in touch with our marquee hire Somerset service and we'll help you find the perfect marquee hire location in Somerset.